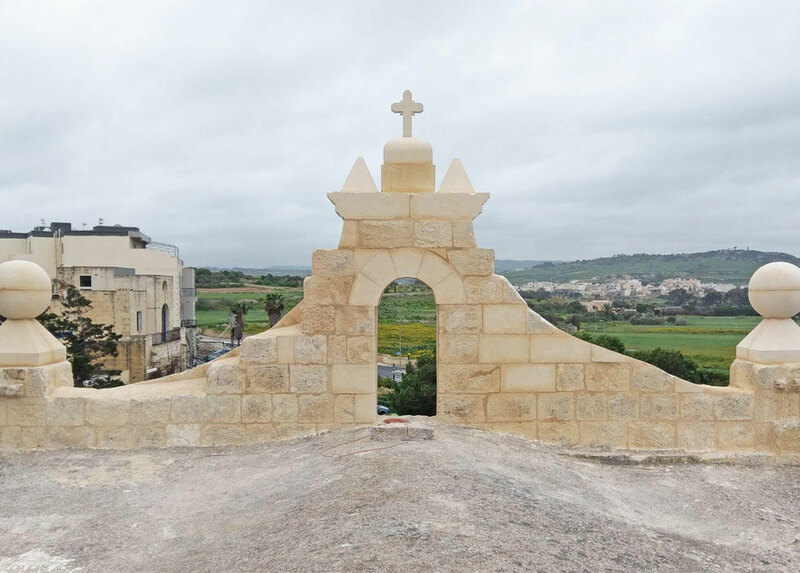 ARCstudio was a consultant to Transport Malta in order to carry out a risk assessment of the historic structures in the area, including the Annunciation Chapel, which is a Grade 1 building. 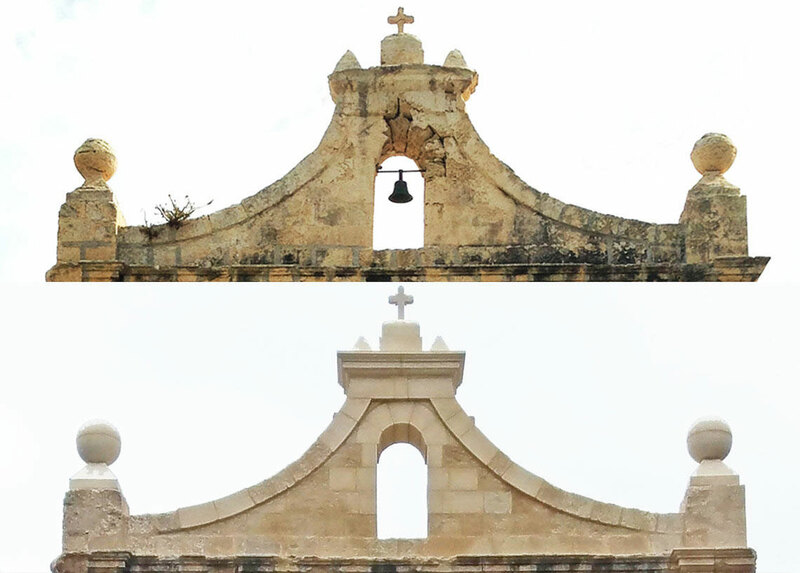 The bell cot and frontispiece of the chapel were in a severe state of deterioration and were at risk of collapse due to possible vibrations caused by roadworks in the vicinity. In view of this the frontispiece was documented, numbered and dismantled for the duration of the works. 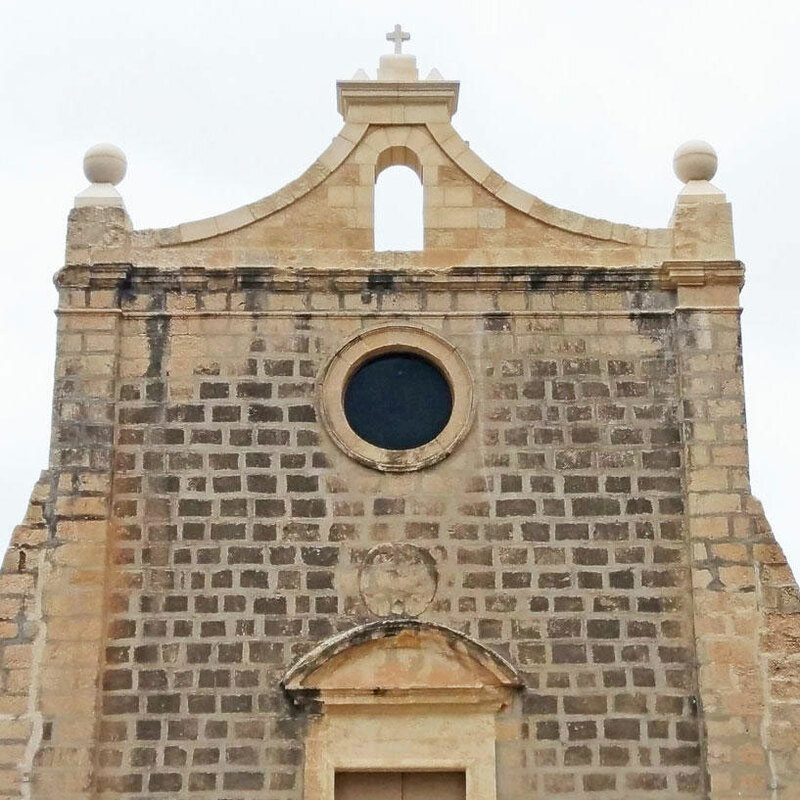 Other mitigation measures such as crack monitors, propping of glass apertures were carried out in order to minimize damage caused by vibrations. Following the completion of the road works, the frontispiece and bell-cot were re-instated, where possible using original masonry. 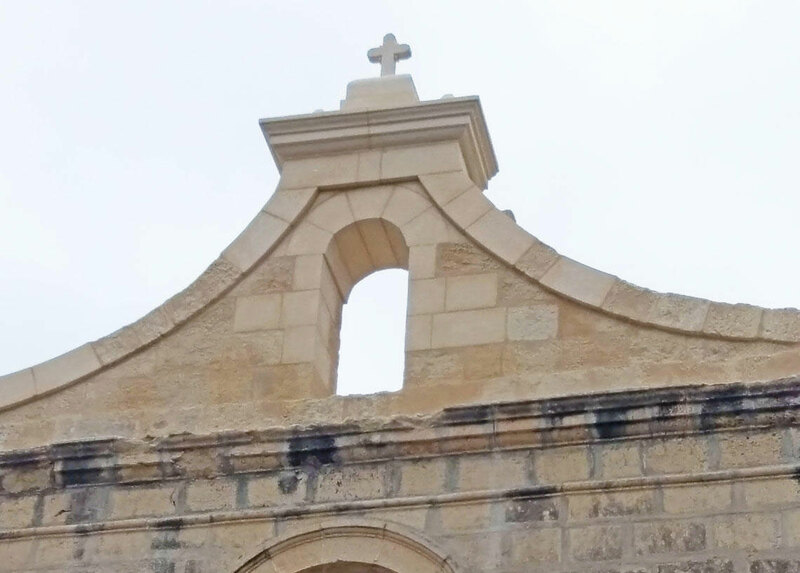 In cases where new masonry was used, these were worked and dressed according to the profiles obtained from the original masonry.